NZAGRC director Dr Harry Clark. A review of a greenhouse gas research centre, set up to target solutions for our agriculture and horticulture emissions, has found New Zealand to be a world leader in reducing methane emissions from livestock. The New Zealand Agricultural Greenhouse Gas Research Centre was set up in 2010 to play a key role in encouraging agriculture and horticulture sectors to contribute to NZ’s emissions reduction targets. Launched in 2010, the NZAGRC is a partnership between leading NZ agricultural greenhouse gas research providers and the Pastoral Greenhouse Gas Research Consortium. Funded through the Primary Growth Partnership, it also actively supports other bodies such as the Global Research Alliance on agricultural greenhouse gases. 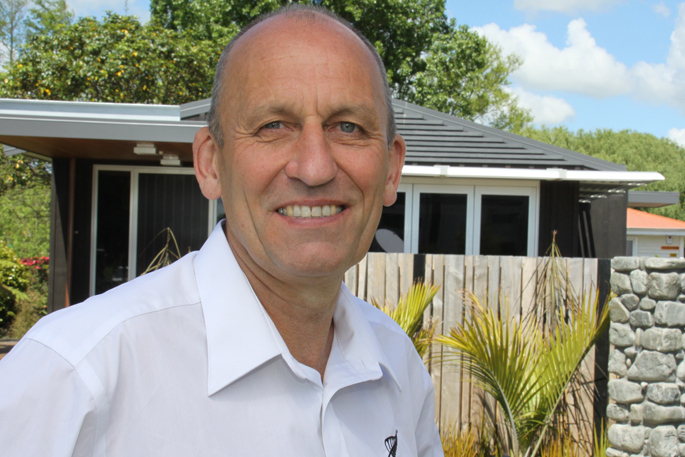 NZAGRC director Dr Harry Clark says the aim of the independent review was to determine if the NZAGRC has delivered as intended and assess its progress to date. “The review found NZ is a world leader in all fields of agricultural greenhouse gas research and strongly endorsed the research programme’s performance to date. The NZAGRC is investing almost $49 million during 10 years into NZ agricultural greenhouse gas emissions research. The centre’s research mainly focuses on ruminant methane, nitrous oxide, soil carbon, and integrated farm systems. But it also aims to improve coordination of greenhouse gas research, build NZ’s research capacity by supporting students, early career scientists, technicians and senior scientists; and support summer school, Masters and PhD students in NZ universities through its Student Scholarship Fund. Harry says the NZAGRC has a strong history of capability development, particularly in supporting young researchers into permanent positions. Harrys says the review also made recommendations including increasing the pace and breadth of the NZAGRC’s research, developing wider partnerships, seeking further relevant stakeholder input, and focusing on science extension and commercialisation. Ministry for Primary Industries manager sustainable resources Neil Williams says the NZAGRC has made fantastic progress. “The opportunity and challenge now is to ensure we continue to support NZ’s scientific excellence and leadership while putting our research into practice.